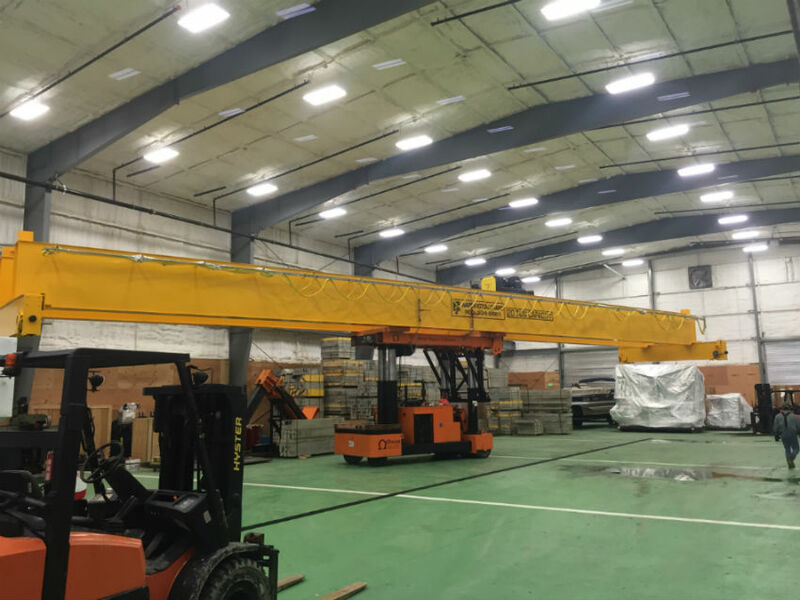 Omega Riggers & Erectors Inc. (ORE) is a leader in rigging and machinery moving specializing in a full-service machinery installations worldwide. Whether you need a new 5 Axis CNC installed or a 25 foot tree placed on the 4th floor of your building, ORE has the experience and specialized equipment to take care of all of your challenging move needs. As the Seattle Metro area’s top machinery moving company, we are proud to be your first choice for rigging and machinery moving. We specialize in turn-key installations and relocations of your industrial machinery and equipment, from single machines to entire plants. Dismantling, crating & skidding, containerization, and warehousing are also services we provide. Omega Riggers & Erectors (ORE) has the welding equipment and expertise to offer custom fabrication, industrial repair and welding services, whether on the jobsite or at our facility. Omega Riggers & Erectors (ORE) offers full turn-key and engineered fall protection solutions. From custom solutions, lifelines, work platforms, ladder systems, and roof anchors to standard fall protection equipment. Our Team can evaluate your safety issues and provide cost effective solutions for any safety concerns you have. Omega Riggers & Erectors (ORE) can not only handle the relocation of your expensive, fragile equipment but we can also manage those smaller items that support your business too. From office furniture to storage racking, ORE offers complete and turn-key relocation services for your business. Omega Riggers & Erectors (ORE) has over a decade of cleanroom equipment move-in and set-up experience. Cleanroom lab equipment is expensive and delicate. Our crews are well versed in how to properly handle those sensitive items and follow proper cleanroom protocols. ORE is the only contractor in the Northwest to invest in a VersaLift 40/60 electric with Rigger’s Boom, offering 60,000 lb. lifting capacity within an all electrical powered machine. 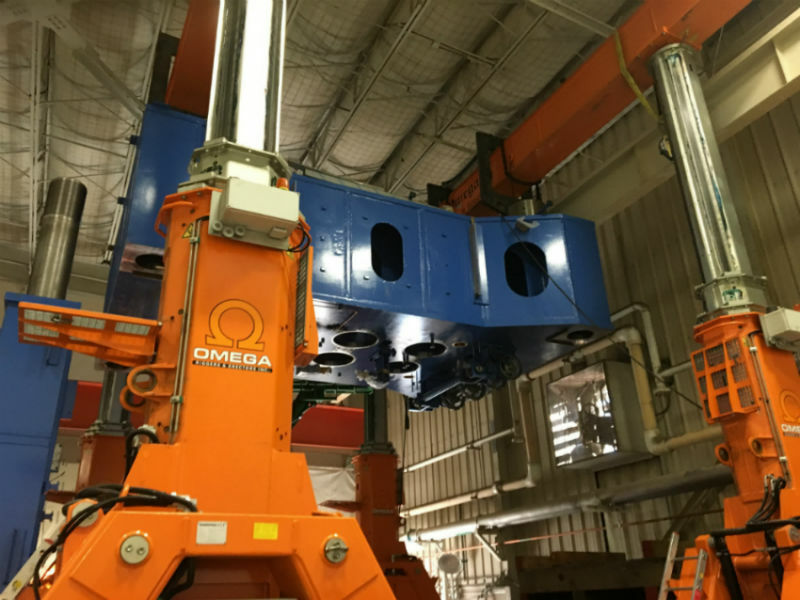 Omega Riggers & Erectors (ORE) offers complete installation of process line equipment. Examples of industries served are carbon fiber, aerospace, automotive, mill productions, refineries and food & beverage. ORE can install your complete production line. Omega Riggers & Erectors (ORE) can handle anything from home placement to complex industrial placement of generators, transformers, breakers and switch gear. We can provide installation and removal solutions no-matter where the gear needs to go, from skyscraper rooftops to underground facilities. With our unique storage facility and experienced staff we can offer a true turnkey process from managing logistics, receiving, secure dry storage, delivery and installation. At Omega Riggers & Erectors (ORE) we provide you with the warehousing and storage needed for your heavy machinery and equipment. Whether you’re an owner, manufacturer, OEM, contractor or dealer, when you need flexible and secure machinery or equipment storage, you can count on us. We will customize a warehousing quote specific to your specifications and time fame. We can provide short-term and long-term storage solutions. ORE can also provide the transportation needed to get your machinery to and from our warehouses to its final destination. 480-volt power, and dry compressed air available. Whether you are looking for storage, need machinery and equipment transloaded, or usable space to set up new machinery for testing, we can support all of your needs!